Utilizing a distinct problem-solving approach, Introductory Statistics gives you a deeper understanding of the processes behind basic statistical arguments, statistical inference, and data-based decision making. Now supported by Sapling Intro Stats, the text includes the support of this online homework tool to help understand statistical concepts and calculations. Steve Kokoska received his undergraduate degree from Boston College, and his M.S and Ph.D. from the University of New Hampshire. His initial research interests included the statistical analysis of cancer chemoprevention experiments. 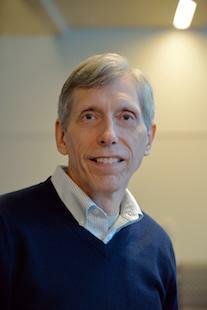 He has published a number of research papers in mathematics journals, including: Biometrics, Anticancer Research, and Computer Methods and Programs in Biomedicine. He has also presented results at national conferences, written several books, and been awarded grants from the National Science Foundation, the Center for Rural Pennsylvania, and the Ben Franklin Program. Steve is a long-time consultant for the College Board and conducted workshops in Brazil, the Dominican Republic, and China. He was the AP Calculus Chief Reader for four years, and has been involved with calculus reform and the use of technology in the classroom. He has been teaching at Bloomsburg University for 25years and recently served as Director of the Honors Program. 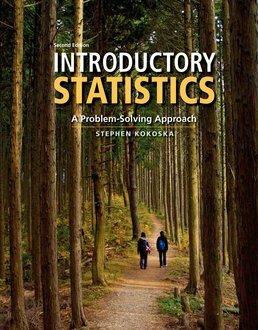 Steve has been teaching introductory statistics classes throughout his academic career, and there is no doubt that this is his favorite course. This class (and text) provides students with basic, life-long, quantitative skills that they will use in almost any job and teaches them how to think and reason logically. Steve believes very strongly in data-driven decisions and conceptual understanding through problem solving. Stephen Kokoska blends solid mathematics with a distinctive problem-solving approach.